1. 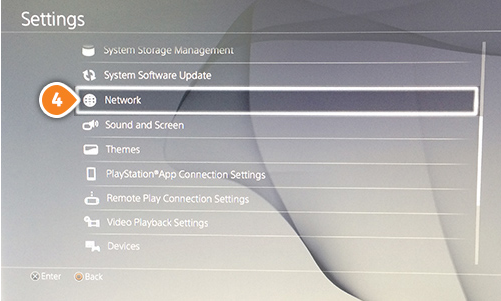 Go to “Settings” (3). 3. Choose “Set up Internet Connection” (5). 4. 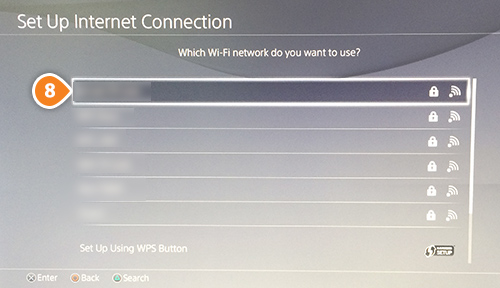 Now choose your connection, “Use Wi-Fi” (6) or “Use Lan Cable”. 5. Go to “Custom” (7). 6. Select your Wi-Fi Network (8). Skip this step if you want to connect to “Lan Cable”. 7. In the “IP Address Settings” select “Manual” (9). IP Address – Enter the first three groups of numbers of your Internal IP address. For example: if your internal IP address is “192.168.10.3″, enter “192.168.10.100”. To find your internal IP address visit your router setup page or IP-API.com. 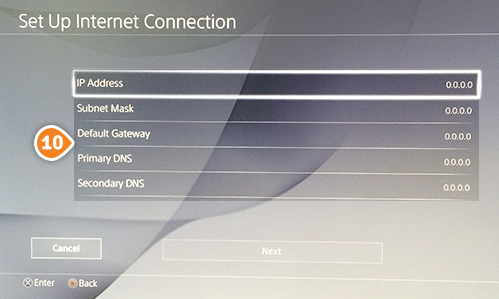 Default Gateway - Enter the internal IP address of your router. 9. Choose “Automatic” (11) for MTU settings. 10. Choose “Do Not Use” (12) on Proxy server screen. 11. Now you should see “Internet settings updated” message. 12. 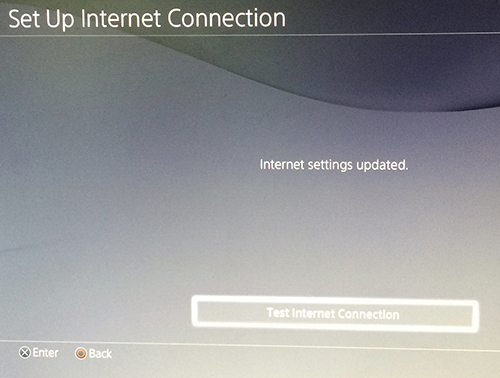 Restart your PS4 and you are done.